Our Family Practice EMR Software specifically designed for family practices is fully integrated into a feature-rich intelligent management system (IMS) that includes billing, scheduling, and other document and office management software used by family practices. 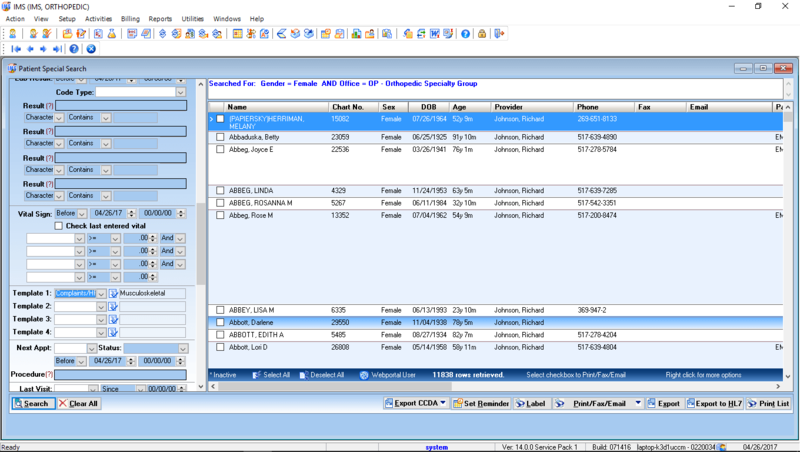 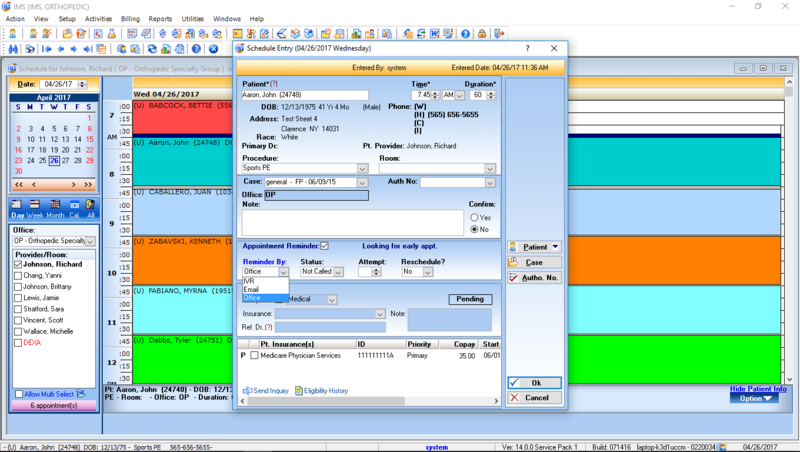 The family practice EMR software has an intuitive and flexible interface that can be customized to your specific practice needs. The straightforward design allows doctors and staff to learn the software quickly and easily. 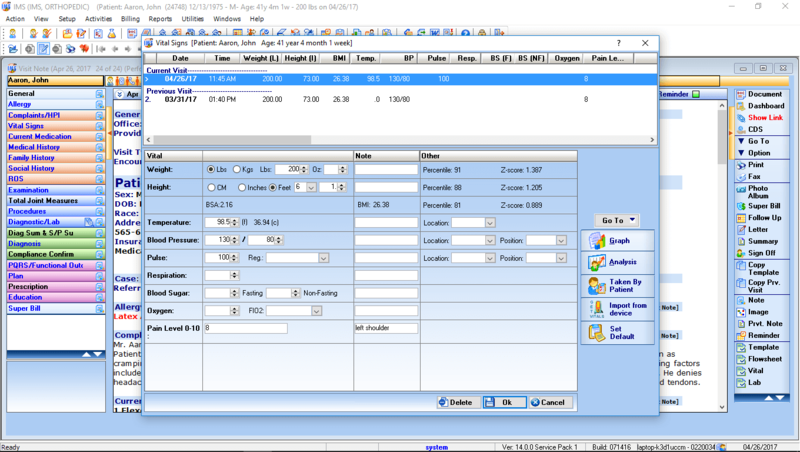 Our support staff is also available for EMR software training, installation, and tech support. 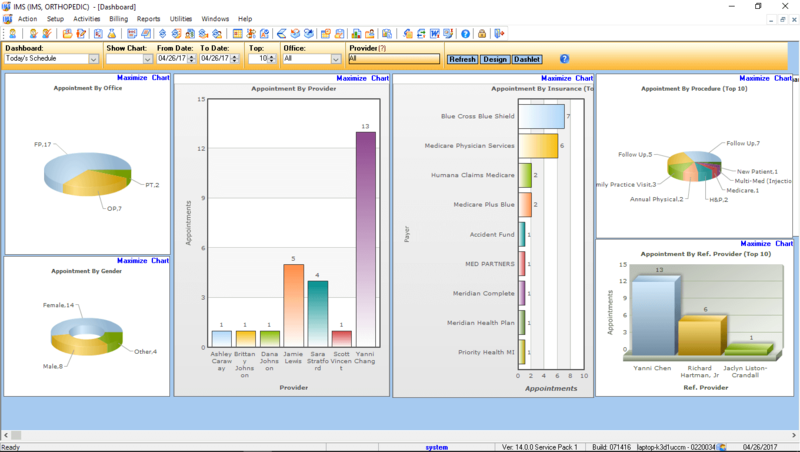 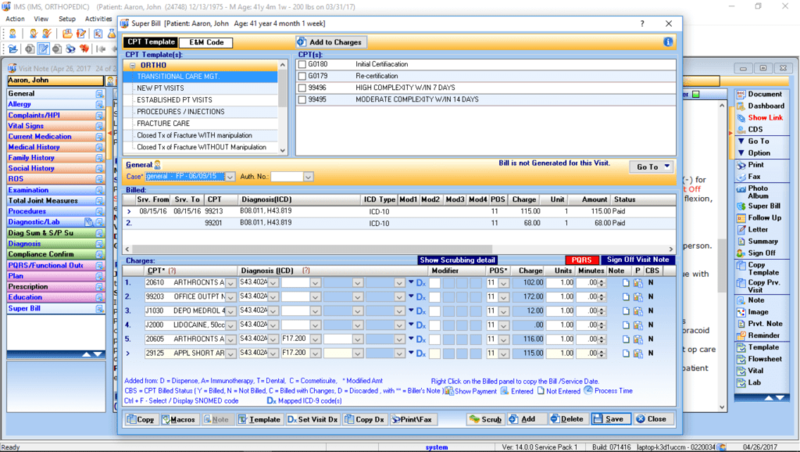 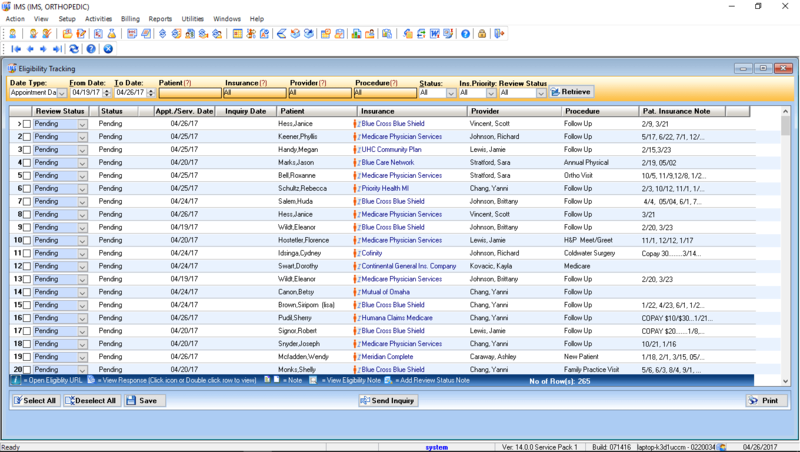 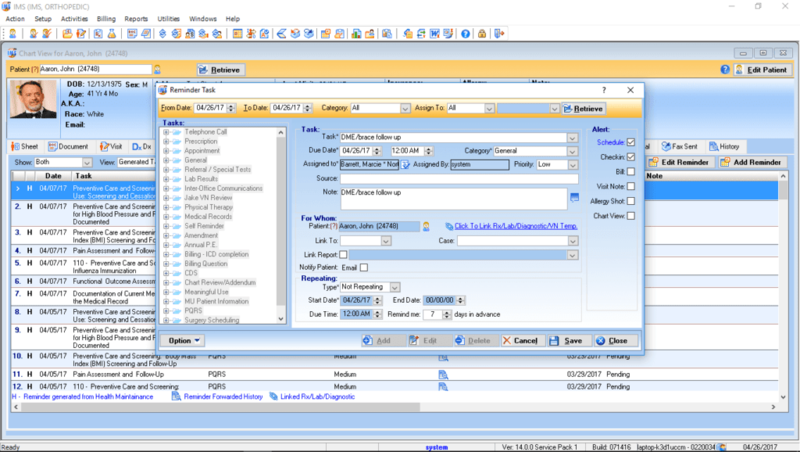 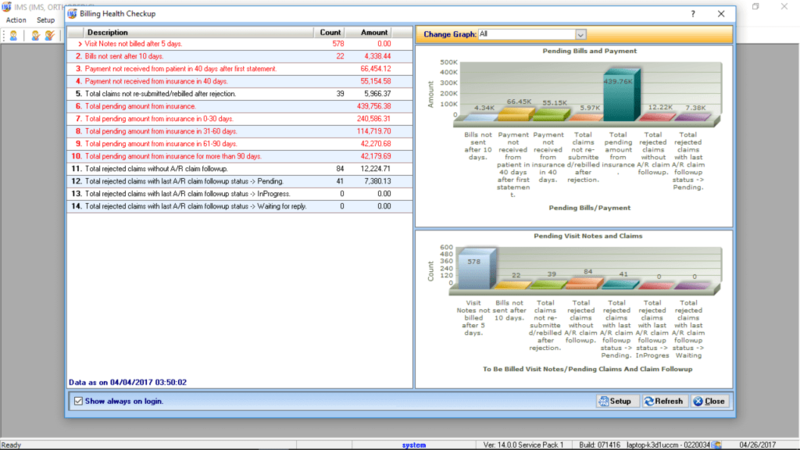 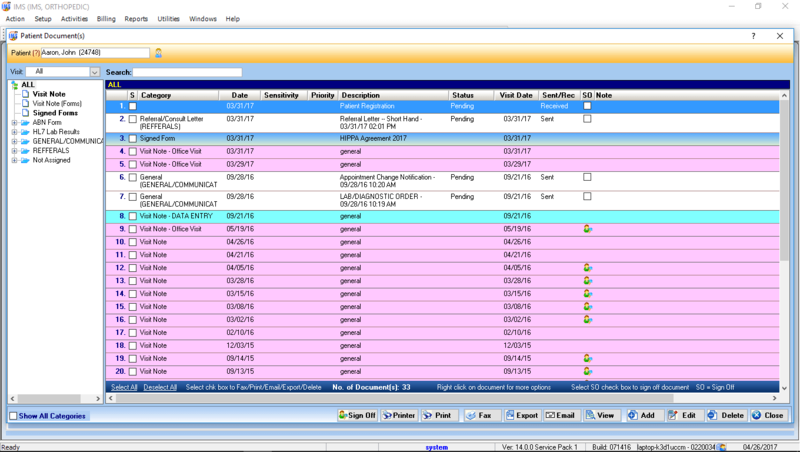 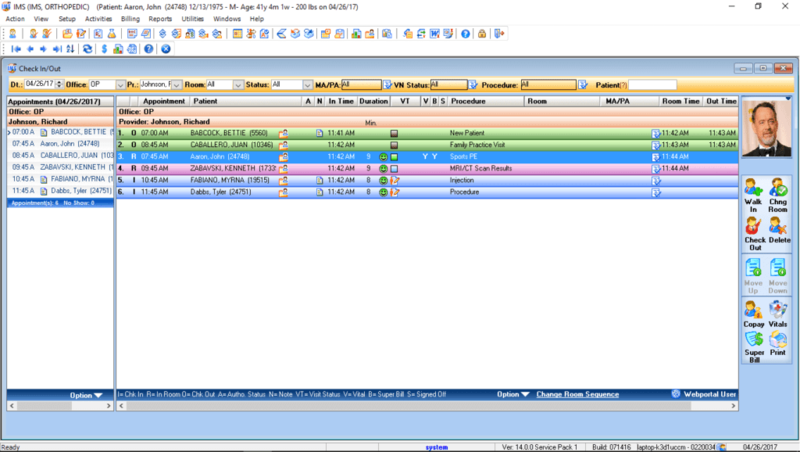 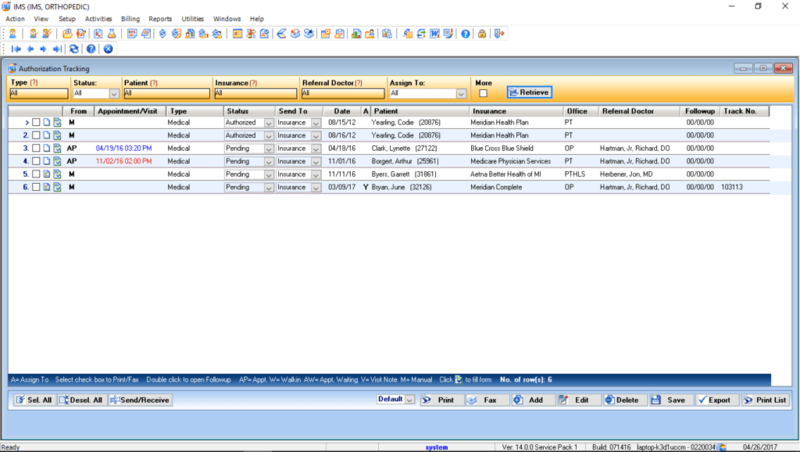 IMS’ Family Practice EMR solution offers a wealth of features to improve healthcare delivery and practice profitability. 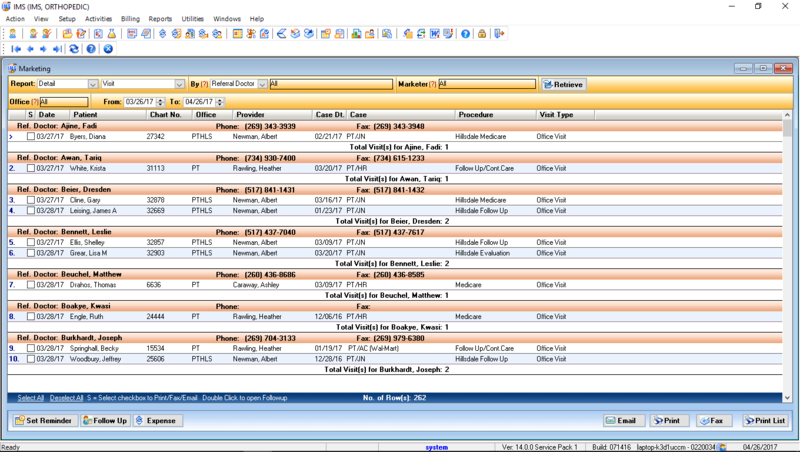 Click here to view the IMS Family Practice EMR Brochure. 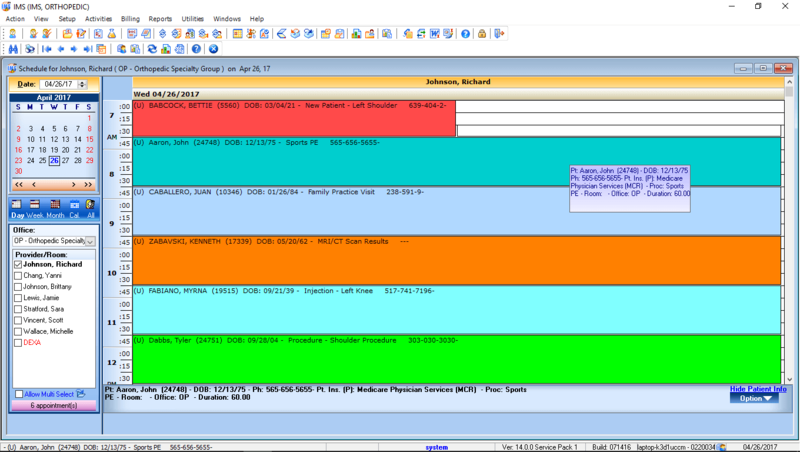 IMS' Patient Dashboard offers a summary of all patient information stored within the EMR. Here, Family Practice specialists can view data such as demographics, problems, medications, and more. 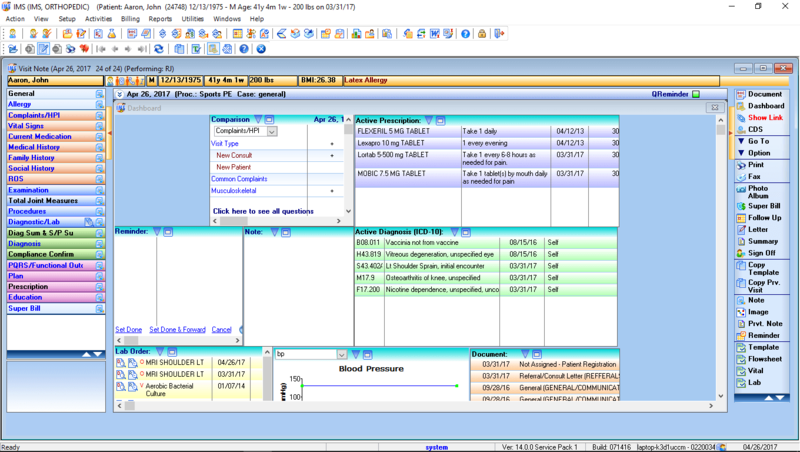 With IMS' seamless speech recognition feature, Family Practice specialists can dictate notes in screens throughout the EMR and receive them immediately for review. 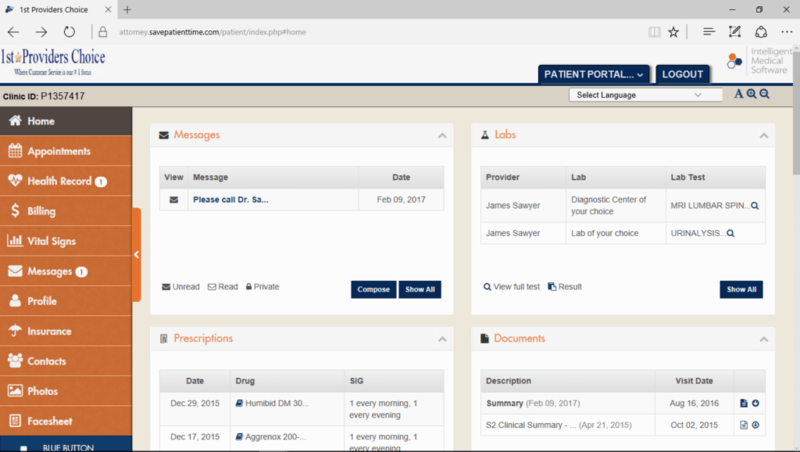 With IMS' provider portal, Family Practice specialists can use self-service tools to access messages, communicate with patients, and more. 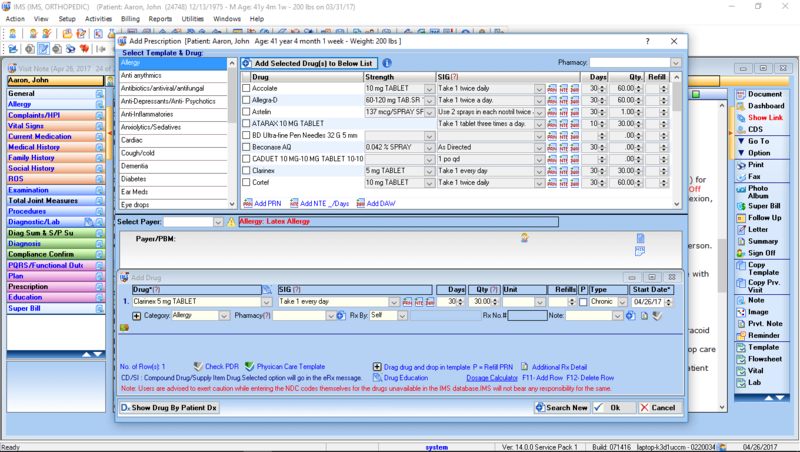 The portal also ties in to the use of our telemedicine system. 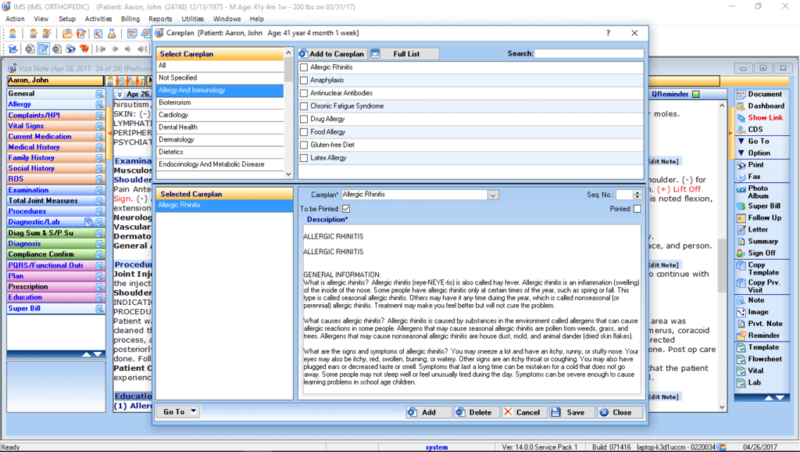 Come up with a care plan for your Family Practice patients, and IMS EMR will generate a patient education handout based on the selected diagnosis and condition. 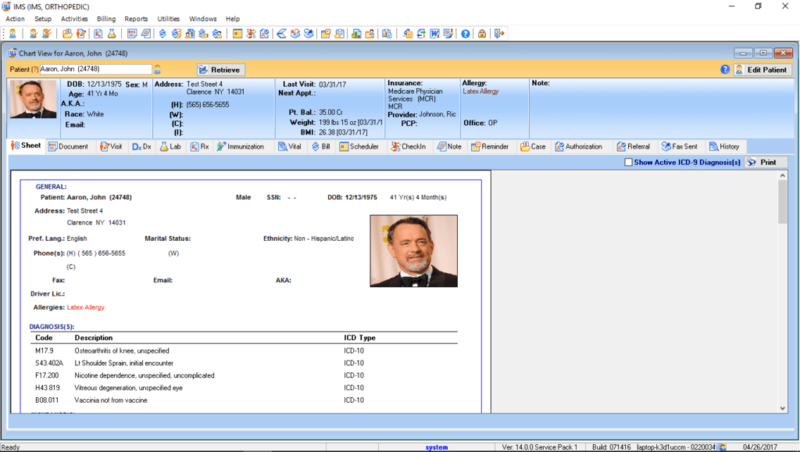 Document patient visits quickly and easily with IMS' Family Practice templates. 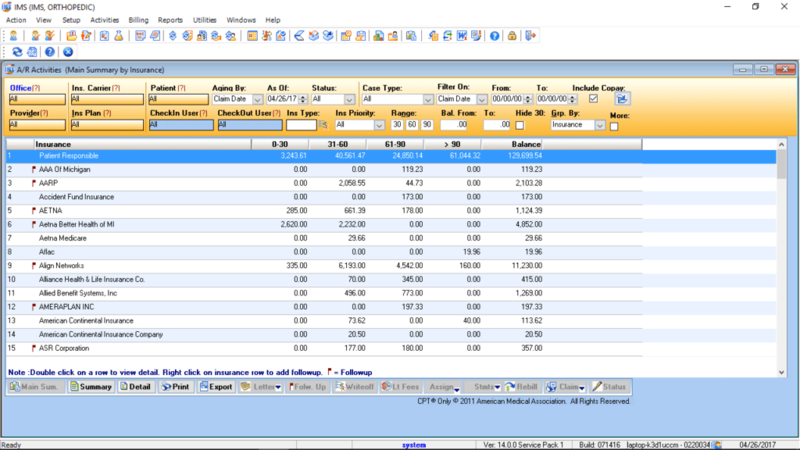 Use our intuitive visit notes, customize them to meet your unique charting needs, or create your own. 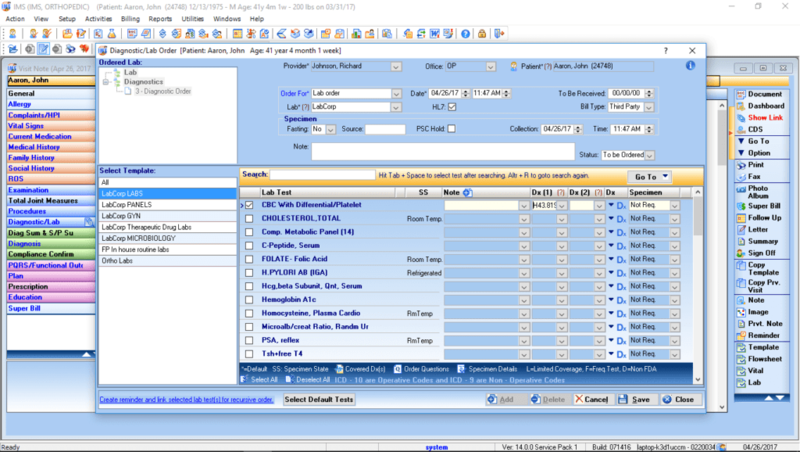 This powerful feature allows Family Practice specialists to query their patient population for particular reasons, by searching on any box or field within the EMR. 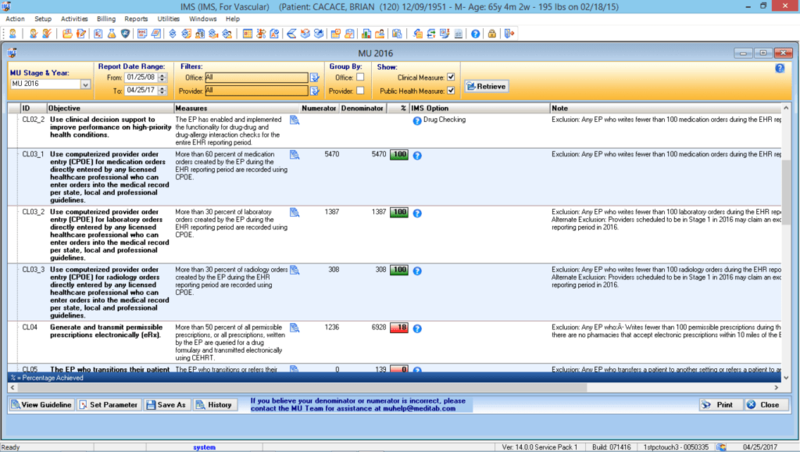 IMS' advanced claims scrubbing technology allows Family Practice specialists to check for claim errors in real time, eliminate denials, and expedite the payment process. 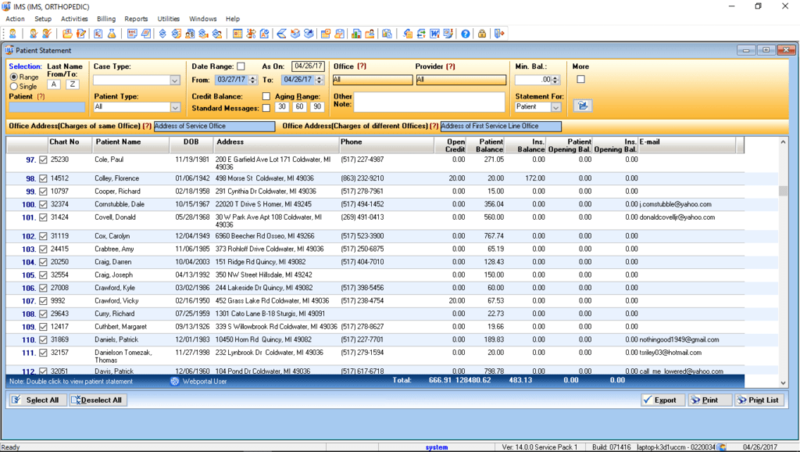 Create electronic super bills directly from your Family Practice EMR for quick and simplified charge entry. 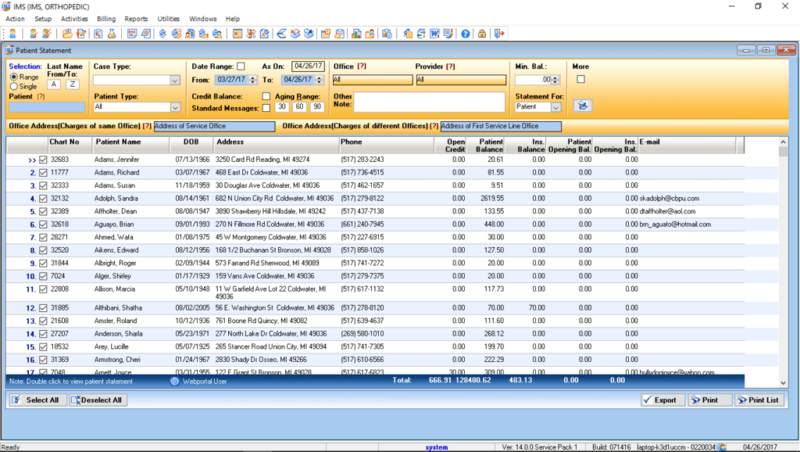 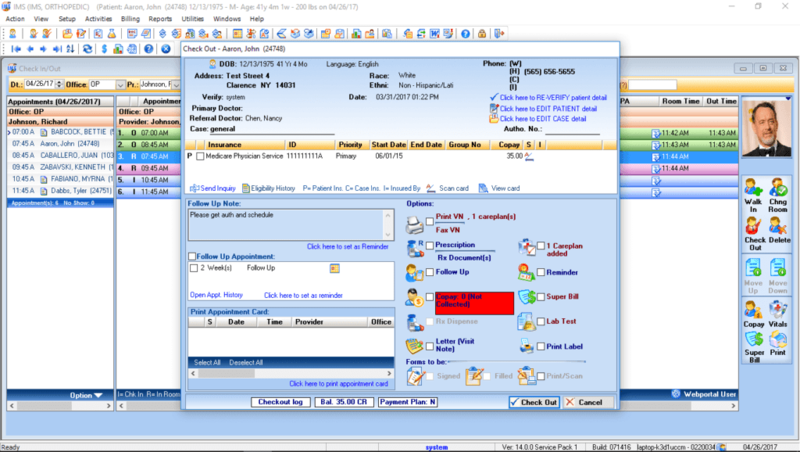 You can even customize the super bills to meet the needs of each provider in your practice. 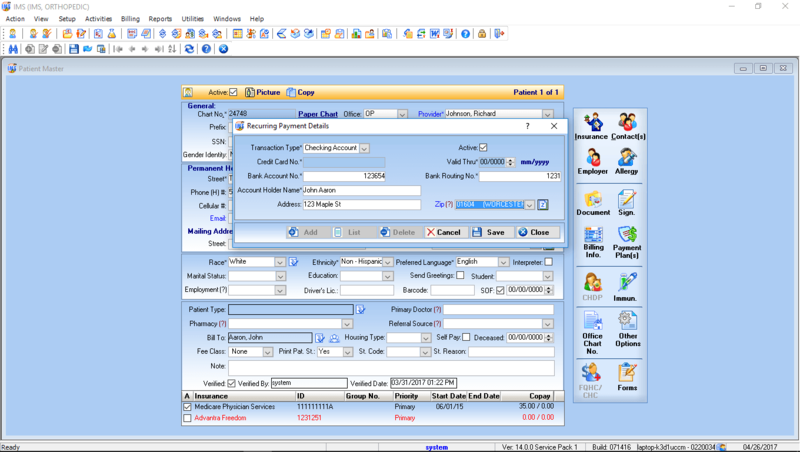 Streamline office functions, see fewer missed payments, and help your Family Practice run more efficiently than ever with IMS' Revenue Cycle Management software. 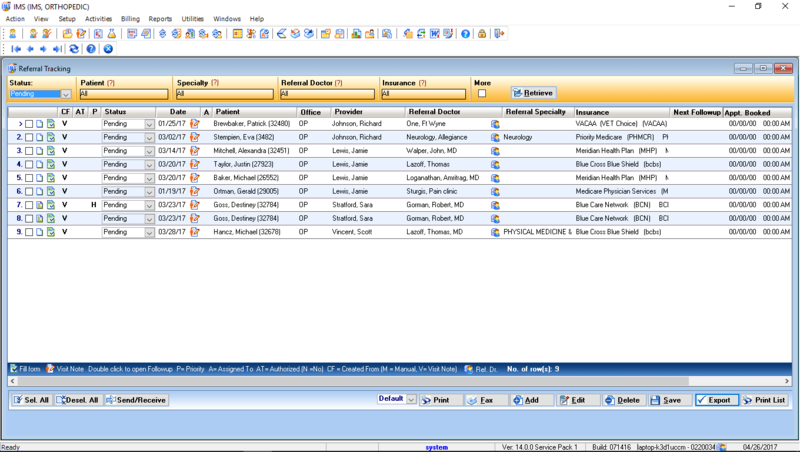 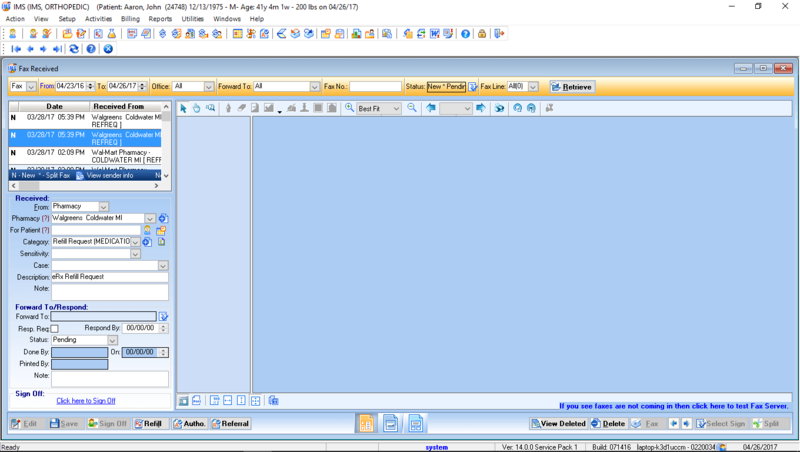 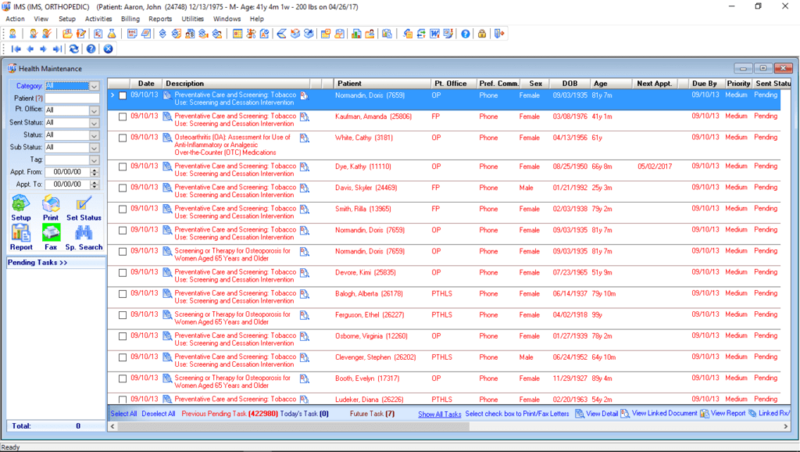 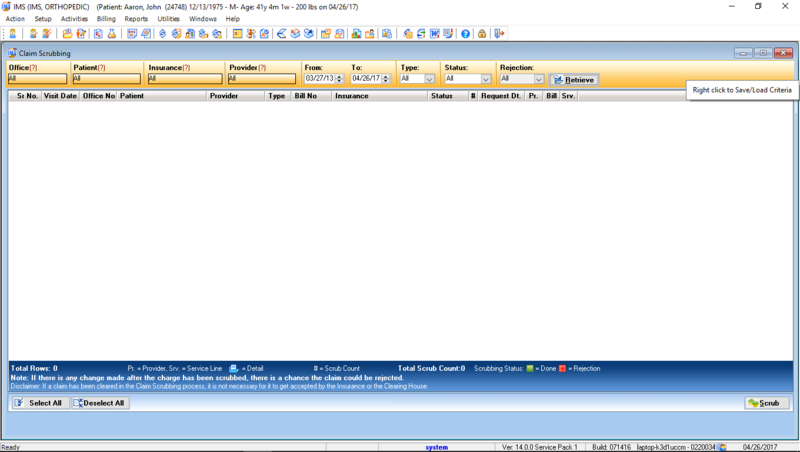 IMS EMR features Family Practice-specific forms and letters that providers in your field use most. 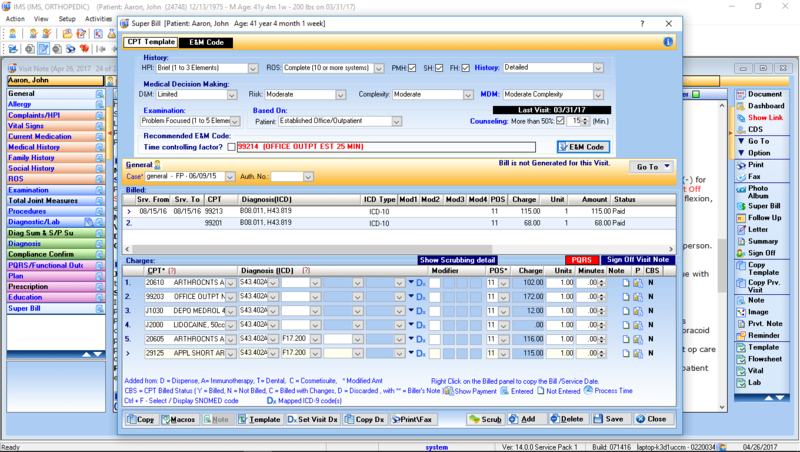 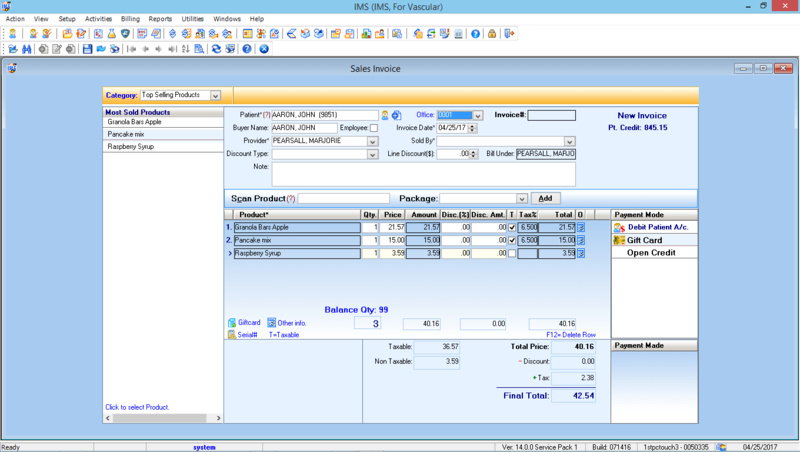 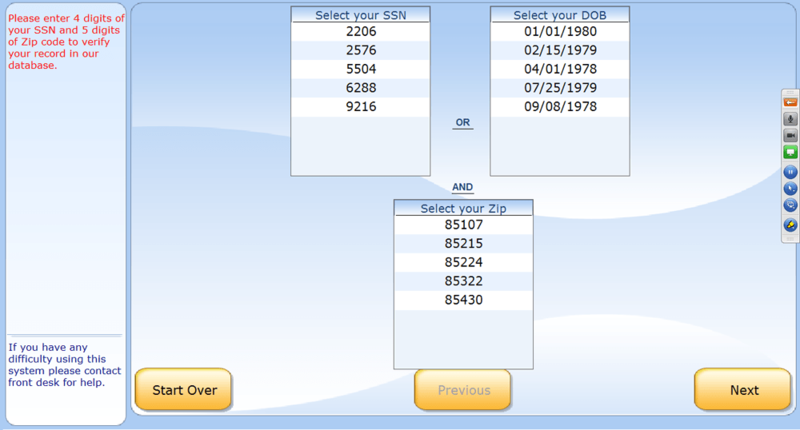 You also have the option of generating custom documents with the input fields of your choice. IMS' powerful Authorization Tracking module will help your Family Practice track and manage all patient authorizations from one place in your EMR. 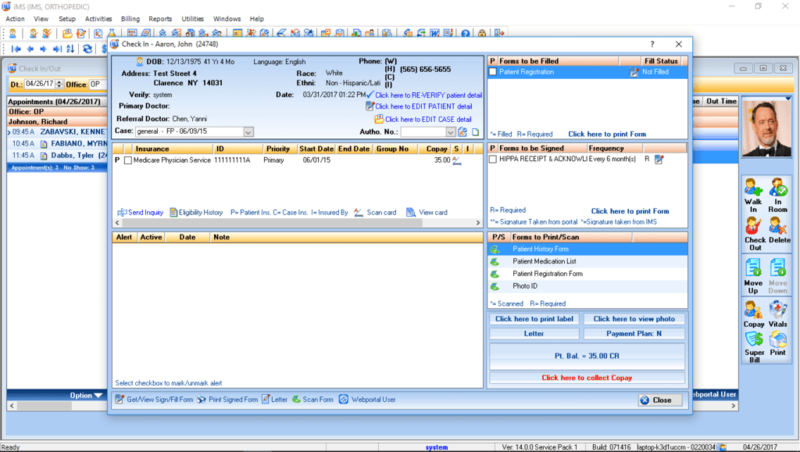 With IMS' integrated fax module, Family Practice specialists can send faxed documents directly into patients' charts without scanning and fax patient data from the EMR. 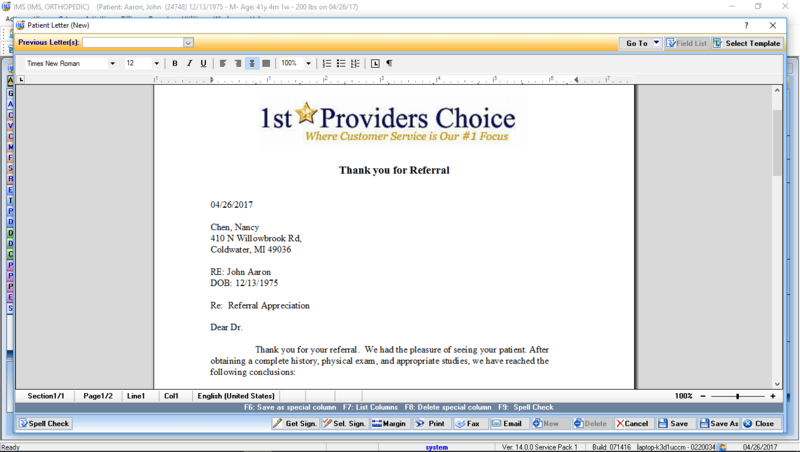 With IMS' referral tracking module, Family Practice specialists can track incoming and outgoing referrals, manage referral sources, and market to referring providers in their area. 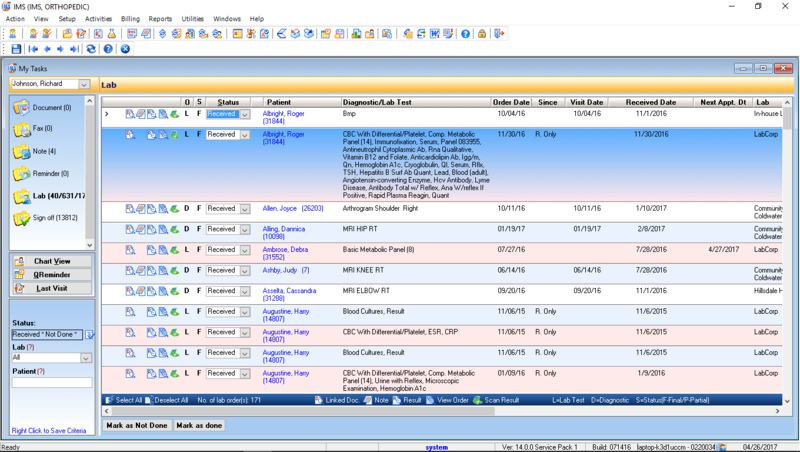 Create a variety of reports – everything from billing to Meaningful Use – to help manage your Family Practice as efficiently as possible.